This is a family-owned-and-operated business. We like people to come to enjoy the food and good clean, wholesome fun. 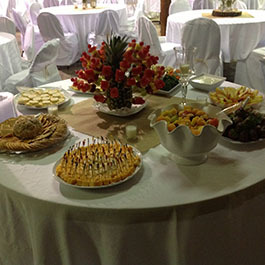 We do not lease the Barn for private parties unless we cater the meal. Our prices range from $20.00 to $35.00, depending on the menu the customer selects. 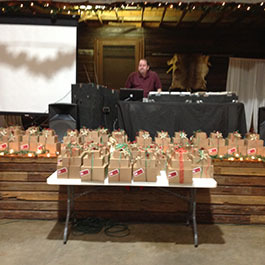 Catering at the Barn should be for 100 or more but not to exceed 5,000. Groups must be self-insured. Give us a call, and we will gladly work with you to make arrangements that will suit your needs. • We do not cancel parties because of weather. • Parties go on rain or shine. • First come, first serve. 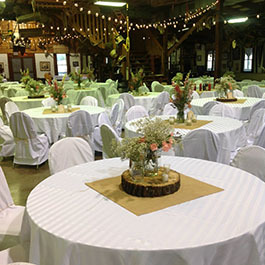 • The 20 acre and barn facility rents for $1,000 along with our own catering. • No charge for tables and chairs up to 500 people. 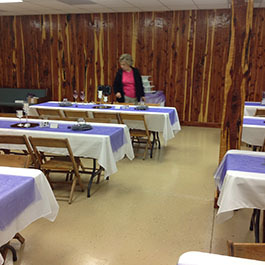 Table clothes are red & white checkered/vinyl material, or white round table clothes at $15.00 per table. Also, you can get white paper for an extra charge of $50.00. • Refer to the food price list for more specific arrangements and prices.